Join Luigi, the lean, green ghost-catching machine in an eerie new 3D adventure! 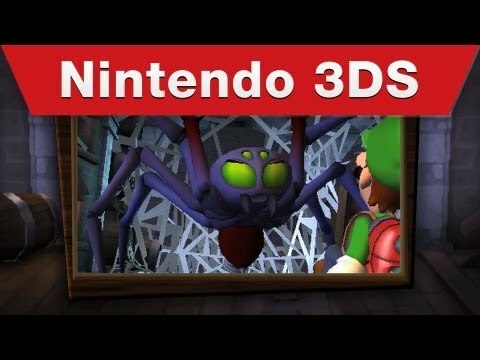 Luigi is back on a mission to remove a bunch of stubborn ghosts from some super-spooky mansions in Luigi’s Mansion 2 for Nintendo 3DS. Armed with his trusty “Poltergust” ghost-grabbing vacuum cleaner, Mario’s brother takes centre stage to capture those pesky phantoms. Sure, Luigi’s the nervous type who’d rather be as far from these ghosts as he can get, but a reluctant hero can still save the day! This hair-raising title is the first sequel to the 2002 Nintendo GameCube launch title, Luigi’s Mansion, and brings back all the thrills of the original with bags of new fun features too. The stereoscopic 3D visuals bring the murky mansions, ghastly ghosts and spooky surroundings to life, so you can experience all the haunting chills and supernatural fun the game has to offer. This time around the ghosts are craftier than ever... Just shining a light on them won’t phase these phantoms; instead you’ll need to shock them with a strobe of light before you can begin to vacuum them up. Incorporating more puzzles than its GameCube predecessor, Luigi’s Mansion 2 will put your grey matter to the test. An array of different ghosts haunt the various mansions, so you’d best get geared-up to help poor scaredy-cat Luigi figure out how to defeat each one! And when it's time for a break from cleaning up ghosts on your own, you can team up with your friends and take on the mighty Scarescraper in Luigi's Mansion 2's multiplayer mode. Up for four people can join forces to take on a multi-floored building jam-packed with paranormal creatures, working together to clear each floor before the clock strikes zero. Bonuses and upgrades can be earned depending on how well the team does, while huge boss battles await at the top of the tower. Players can choose the number of floors to play through from five, 10 or 25, adjust the difficulty to cater for both new and veteran gamers, and even revive fallen teammates to keep the adventure going! 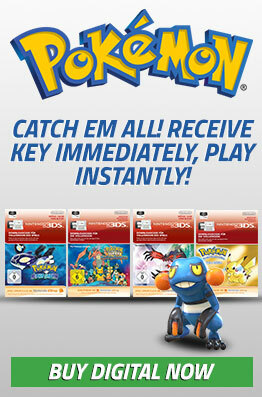 Use the Poltergust to uncover secrets, treasure, even new areas! Figure out how to deal with a variety of ghastly ghosts and fiendish phantoms! Play with up to three friends either locally or online and work together to clear the Scarescraper of pesky poltergeists!